In this post, we explore how to use Instagram’s range of features to make your Instagram shoppable to boost your revenue and site traffic, including the most recent addition “product tags”, which we covered in a previous post. Instagram is one of the most popular social media sites in the world. The platform is unique in that it relies entirely on visuals, and its some 800 million monthly users are arguably in a far more engaged state than those of other social media networks. After all, over 90% of information stored by the human brain is visual. 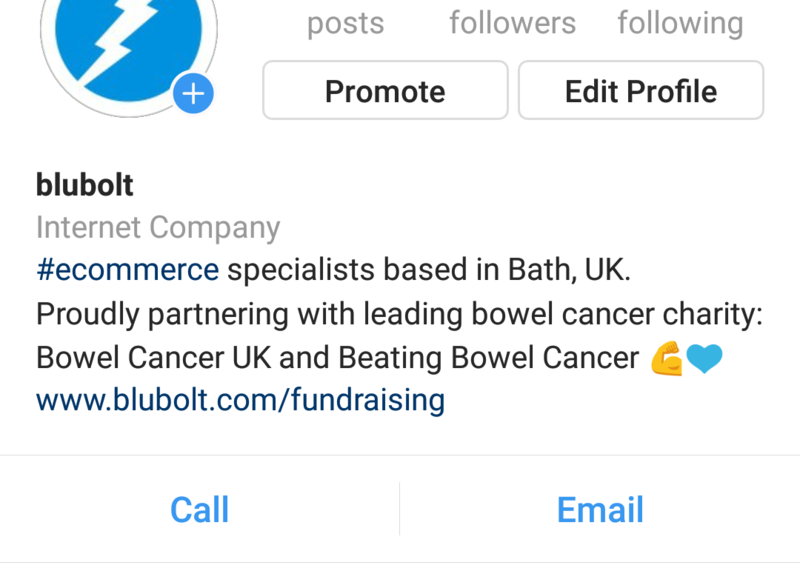 This makes Instagram a powerful, unparalleled tool for your e-commerce marketing strategy to exponentially boost sales by tapping into users in their most inspired moments. In short, if you’re not selling on Instagram, you’re missing out on the opportunity to access a huge, highly-engaged chunk of the market. Let’s take a more in-depth look at how making your Instagram Shoppable can drive your traffic and revenue goals. First, go into options by clicking on the three small dots at the top right of your profile page. Then scroll down and select “Switch to Business Profile”. Then, select the category and subcategory for your profile from the dropdown list. Be mindful of the ones you select as these will appear on your profile page. You’ll now see your company category appearing on your home page together with a “call” and “email” button for users to contact you directly, which is always useful! 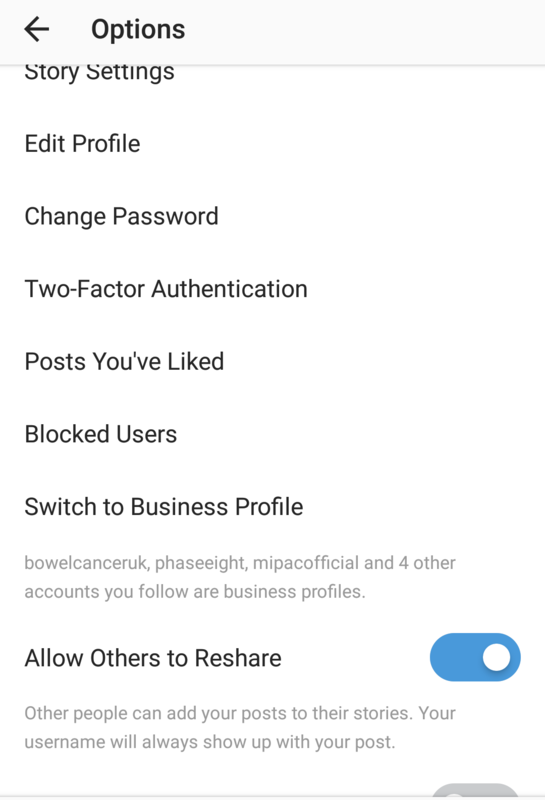 During the set up process, Instagram will ask you if you want to link to your company’s Facebook page. This is a crucial step as Instagram Shoppable requires product information from your Facebook Page Product Catalog (see below for more info), if you have one. If you don’t have a Facebook page associated with your brand it’s no problem, Instagram will set you up with one which you can claim later directly from your account options. If you already have your products on Facebook then great! Skip this step and go straight on to how to use Instagram Shoppable to boost your revenues. If not, it’s super easy to get started. First, either log in to your Facebook page or claim the one created for you by Instagram. Then, go to Catalog Manager, select your catalog type and create it. You can then import a data feed of your products in a number of different formats, including via a .csv file. Your catalog doesn’t have to be public if you don’t want it to be. You can keep it private and use it just for Instagram shopping purposes. Bear in mind that products in your catalog must be tangible, i.e. they can’t b e digital products or services. Once you’ve completed this step, there is an element of waiting involved before you can start tagging your products. This is beause Instagram needs to approve you for product tagging, but it shouldn’t take more than a few days. Once Instagram has approved your profule, you should see an alert at the top of your profile page. If not, simply click on options then on “Shopping”. 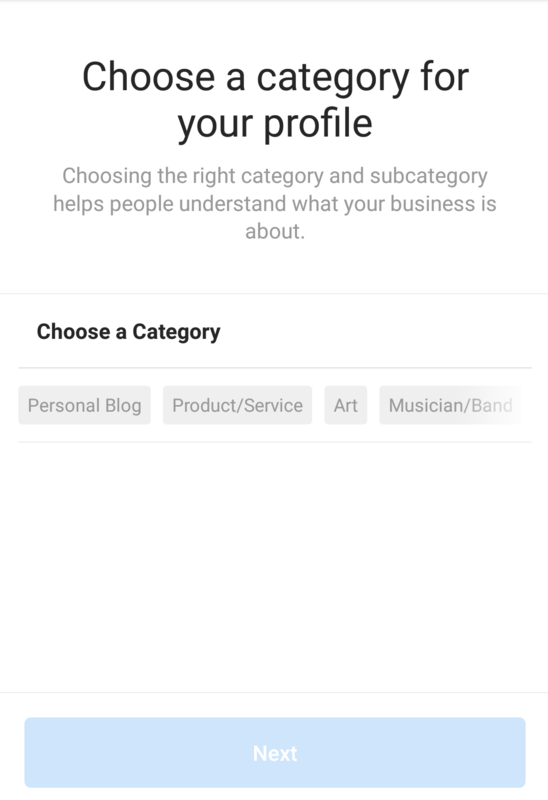 Then, select a product catalog you wish to connect to your profile. Now you can simply upload your images and tag products in them just like you would tag people. When you start typing a product name to tag it, you’ll get a list of suggestions from your product catalog in the search box. Once you’ve clicked “share”, the tagged photo will appear on your photo grid with a small shopping bag in the top corner. This indicates to users that there are tagged items in the image, enticing them to click if anything instantly catches their eye. Of course, showcasing your products alone might not be enticing enough. Try and post a variety of shoppable photos. For example, if you’re an apparel retailer then share pictures of people wearing your clothes in “real life” settings, not just images straight from your catalogue. This gives potential customers a more relatable picture (pardon the pun) of how the items might look on them and is also in harmony with the style and feel of Instagram. Maintaining engagement is key, so remember to schedule posts to go out 2 – 3 times a day, ideally. Some brands post up to 30 times a day, which may seem like overkill, but it’s been proven to be a tactic that can work by ensuring a wider reach. In other words, their posts are less likely to be missed while a user is idly scrolling through their Instagram feed. However, you should aim for consistency over frequency, as we explain in the next section. There’s no doubt that using Instagram to directly tag your items is an incredibly powerful feature, but there’s more to it than that. Instagram is also a a prime branding tool, so be sure to post a variety of images that reflect your brand’s message, its values, and what you want users to recall you by. This could include anything from food to outfit ideas, pics of your team to motivational posts. This is a highly effective way of showcasing your brand and providing a variety of content, including Instagram Shoppable posts. Vans are an example of a brand who wield this branding capability extremely well. 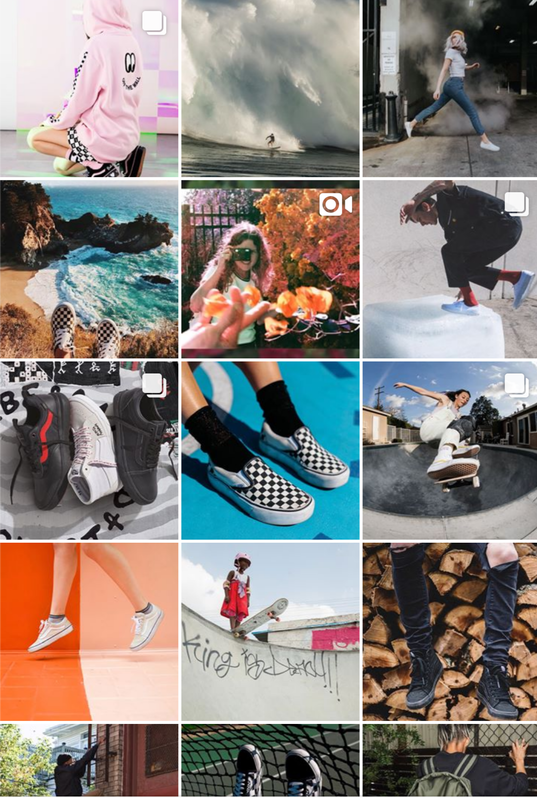 They arrange their Instagram images to speak themselves, promoting the Vans lifestyle while also featuring their products in situations which engage viewers, i.e. situations which illustrate an eventful, active lifestyle, befitting the brand’s image. You’ll see that all the images have a similar look and feel to them – this further reinforces a brand’s overall message, and is something you should bear in mind when posting your own photos. Consistency is key in terms of the colour palette and editing style of your images. It might not be instantly easy to see what piques your followers’ interest the most but, as with all marketing strategies, you can constantly optimise and keep a close eye on which posts get the most attention and which tagged products receive the highest CTR. Instagram users like to tag brands in pictures that include their products, and this is ceratainly something you should make the most of. Why? Because users trust other users. By sharing posts of posts of people wearing or using your products, you’re not only increasing brand engagement by directly interacting with your customers but you’re also offering real social proof that other people like and use your products, creating a more positive overall image of your brand. 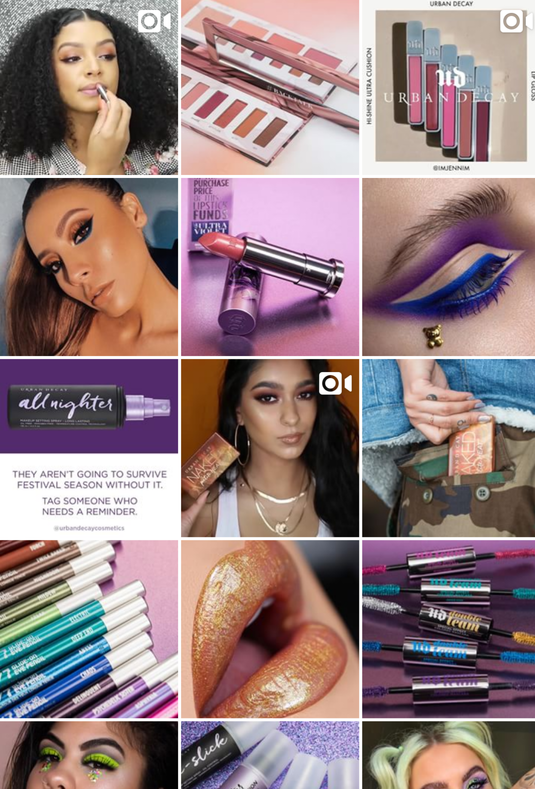 The hugely popular make-up brand, Urban Decay, do this spectacularly well by sharing images of people who have created individual looks with their products, which they then tag for users to easily recreate specific styles. This creates a brand community in its truest form, users around the world sharing their love for your brand, and you sharing back! 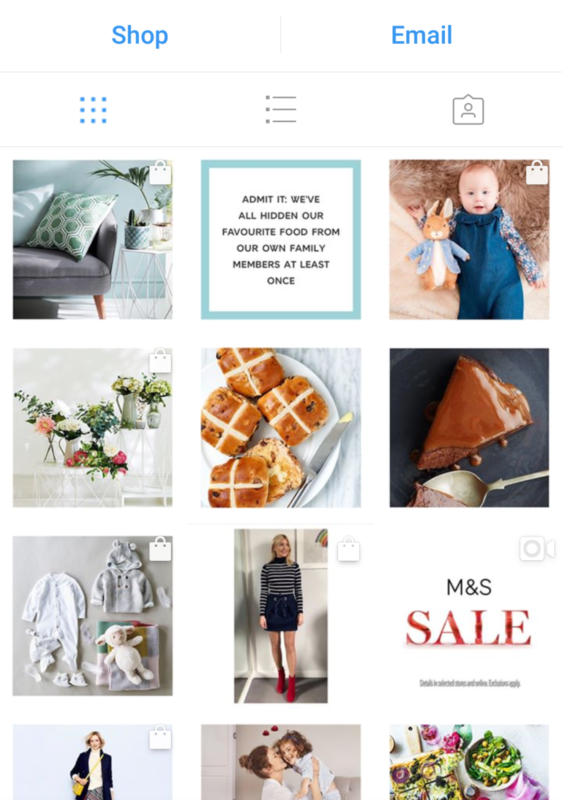 Instagram may not be the first platform you think of when investigating how to expand your reach, but with the introduction of new, highly engaging shopping features, it’s certainly not a network to ignore. With its appealing visual capabilities and unique ability to capture highly engaged users, making your Instagram shoppable has never been more important.